Richard Nantel of Brandon Hall recently posted about average LMS prices. A ‘low-cost’ LMS starts at an average of $58K. That’s the low price. Which is still a whole LOT of money. Why pay for a pricey LMS when you can Moodle or Drupal or Sakai? Why do companies continue to pay huge dollars for products that are now being offered for free? Web conferencing services like DimDim now offer the equivalent of WebEx. For free. It’s not for corporate use. Well, it’s true that Moodle was originally created for academic use and it already has a great foothold in the academic world. But Moodle is increasingly being used in the corporate market. According to an eLearning Guild survey conducted in 2007, 18% of respondents in corporate settings reported using Moodle. Out of the box, Moodle may not have all the features an enterprise needs, but simple add-ons can be created. Kineo has recently worked on creating a classroom management add-on for a corporate client and has a fabulous Moodle reporting tool. It looks so very bland. Moodle out of the box is like vanilla pudding. Pretty plain. But the beauty of open source is you can customize it. Kineo has done some really fabulous interfaces that look slick, modern and way beyond what you might think possible. We’ve integrated Flash animations into Moodle home pages and replicated clients’ existing web sites. Take some vanilla pudding, add raisins or rainbow sprinkles or a caramel swirl. I think the time for open source is now. What about you? Do you think we're at a tipping point? 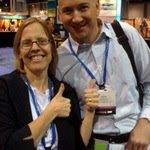 Update: Want more evidence of the tipping Moodle? Check out a more recent post from May 11, 2010 profiling Tesco's Moodle. At our seminar today on using Articulate and Moodle and "Doing More for Less", the conversation turned (as it always does) to using audio in eLearning. One of the participants talked about a focus group/research project his organization did. I don't have the specifics and I'll try to track him down to find out more because the results were fascinating. For now, this is all heresay. They created a set of powerpoint slides. (Perhaps the subject matter expert had created them?) Let's just say, a set of slide were created by someone. They had the SME record the audio for the slides. I'm not sure if the SME was reading a script, reading the notes, or just speaking from the heart. Next, they had a 'professional' clean up the SME's transcript, cut out the ums and ahs and record it 'professionally'. So that's the second version. So you've got one version that's pretty rough around the edges and one version that's smooth and polished. They piloted these two versions and got feedback. Something like 60-70% of the learners preferred the rough version, created by the expert. They said it "sounded more real" and they trusted it more because they knew this person was talking from experience. 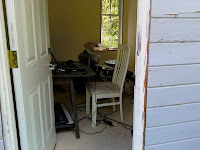 So here's to more guerilla audio recording! Go out and get your SME to say it like it is into a microphone and share their expertise. Eliminate the middle-(wo)man. Put the content where it can be accessed. And create content that learners will trust. As you may know, I struggle with describing what I do. "Instructional Designer? What's that?" 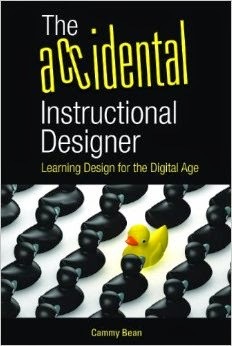 I've said it before and I'll say it again: there are many shades of instructional design. Read his full post here (The Various Roles of Instructional Designers) and be sure to catch the comments. This past week, I spent Monday and Tuesday at the ASTD International Conference & Expo in DC. Not attending sessions, mind you, but working the Kineo booth and fine-tuning my schmoozing super powers. My first impressions of ASTD: ‘wow, what a huge conference’ and ‘wow, these are traditional training people for whom most of this eLearning stuff is kind of exotic and/or quite overwhelming and threatening.’ There were over 350 booths selling their wares: from “are you a squiggle, a circle, or a box?”people to big LMS companies to leadership/management classroom trainers up the wazoo. 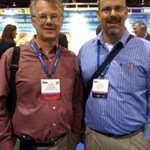 From Kineo, Steve Rayson and Mark Harrison from the UK office were there, along with my new US boss, Steve Lowenthal. It’s nice to meet people for the first time and give them hugs. Especially the people you work with. 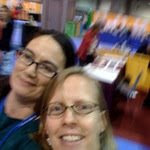 At the show, we talked to a lot of people about Moodle and Articulate. Could see lots of light bulbs going off in people’s heads as they viewed our demos and heard about pricing options for Moodles. More on that later, but I do see us at a Tipping Point with the Corporate Moodle. But more important than all that, and what you, my fellow bloggers/twitterers will be most interested in, are all the cool bloggers/tweeple I got to meet face to face! Wendy Wickham. We went for a walk and had coffee. Jealous? I know you are. We talked about some of the sessions she attended (go read her blog for all the news). Clark Quinn. He’s with me on the impending Moodle explosion. Clark, I’m sorry I missed you at the beer meetup. I got there too late! Kevin Thorn. He’s the guy who does really cool cartoons. Also one of the nicest human beings on the planet. Mark Britz. Turns out to be one of the nicest human beings on the planet. Dave Ferguson. When I finally made my way to the Monday night Beer & Bloggers session at Fado, Dave was the only one left from the crowd I had hoped to mingle with. Dave was regaling some Germans in the corner with amazing stories and singing the Liechtenstein National Anthem with great gusto. Then we sat down and talked about “Ten Steps to Complex Learning.” What an amazing human being. Too bad I didn’t get a picture. Marcia Connor. She arrived at the Beer & Bloggers session even later than I did, having just driven 2.5 hours to get to DC! And then she drove me to my hotel, for which I will be forever thankful. The Articulate booth was just around the corner from us and there was always a big crowd listening in to Tom’s sessions. This company really cares about helping people create better eLearning with their products. Thanks to Mark Schwartz, Articulate CEO, for the great meal. I returned to Massachusetts late Tuesday night after having a great dinner with my brother, visiting my Dad’s grave at Arlington National Cemetery and seeing my cousin’s two-week old baby. What a two days! And that was just the beginning of the week. I’m still bleary, but invigorated.